This is a great park for forest drive touring, bushwalking, fishing, boating, birdwatching and camping. 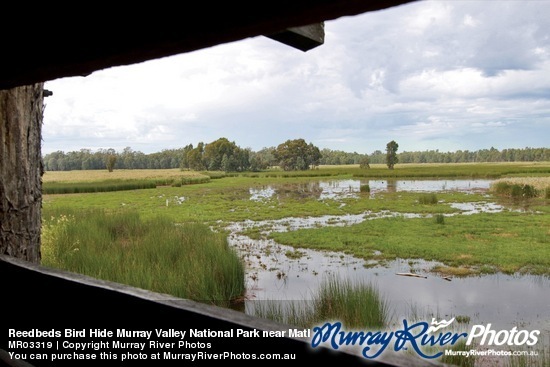 Visit Murray Valley National Park and Murray Valley Regional Park, established to protect the majestic river red gum forests of the Riverina’s Ramsar-listed wetland. Part of the largest continuous red gum forest in the world, this region hosts a unique ecosystem with over 60 threatened native animal species and 40 threatened plant species. It is also an important place for Aboriginal people. There are lots of things to do; camp out overnight by the river, go walking along the tranquil Gulpa Creek trail, fish for your dinner in the mighty Murray, paddle along the river in a canoe or kayak. If you're interested in birds, be sure to check out Reedbeds Bird Hide and look out for the yellow rosella as you ride the park's trails. There are many access points to the Murray Valley National and Regional Parks. You can access the Reedbeds Bird Hide via the Picnic Point Road near Mathoura (turn form the Cobb Highway).